Spring has finally arrived! What a beautiful time of year it is here in Ottawa! If you’re currently trying to sell your home on the local housing market, there’s an added layer of beauty to springtime. For every spring, home buyers flood the market, hoping to close on their new home by the time their kids go back to school in the fall. But how exactly can home sellers maximize this home buying energy? Today, I’m going to tell you the top tips for effectively marketing your home in springtime. Give all the windows in your home a good thorough wash. Not only will this add to the general appeal of your house but it will also maximize the natural light that’s coming into your home, which will make it feel brighter, more inviting and more beautiful. Clean up your yard. Curb appeal is quintessential to hooking the home buyer before they ever step foot in your home. So make sure that your yard gives the right impression by cleaning up dead leaves and debris in your yard as well as cutting any unbecoming bushes or tree limbs. Mow your lawn diagonally. This may seem like a minor thing but it gives a better impression of a “manicured lawn” which is going to communicate to buyers that you’ve given your home the highest quality of care while you’ve lived there. Plant colorful flowers on your property. This will make your home really pop and will once again give you home a warm and inviting feel. Clean off curtains, blinds and drapes in your home and open windows. By doing this, you’re once again letting natural light in, which will add to the overall allure of your home. And opening the windows will send fresh and crisp spring air all throughout your home – which is better than that stale air that’s been pent up all winter long. Polish your floors, especially if you have hardwood floors. This is a relatively low-maintenance task but it can do wonders for adding to the overall look and feel to your home. Don’t forget about your ceramic and linoleum floors – they could use a polishing too! Be hospitable. Consider laying out freshly baked cookies or setting out chilled bottled water for home buyers. By having some refreshments while showing your home, home buyers will feel more comfortable. This is the perfect mindset for them to start envisioning what it would be like to live in your home one day – which could result in a purchase offer! More Ottawa Home Selling Help For You! For more valuable tips on how to get your Ottawa home sold this spring, please contact us,your dedicated Ottawa real estate experts. We would be happy to offer you invaluable assistance with our practical advice and user-friendly home selling tools. There’s a lot that happens between the time that someone makes a purchase offer on your Ottawa home for sale and the time that you attend the final closing on your property. And that means that there’s a lot that could go askew as well. Today, we’re going to tell all the Ottawa home sellers out there the best way that they can prepare for the home inspection phase of the home selling process. Before a home buyer ever signs on the dotted line at closing, they’ll more than likely want to conduct a home inspection to ensure that they know what they’re buying. For a lot of home sellers, this can be a particularly stressful time because, if there is something gravely wrong with the home, it could mean the end of a deal. Luckily, there are ways to prepare for the inspection to ensure your home gets a favorable review. Here are six areas in your home that I recommend you check out before the inspection ever happens. If there are problems in these key parts of your home, get them fixed beforehand! Water control problems: Often, these problems are most evident in the basement and crawlspace because there is a general smell of mildew that wafts through the air. This is a red flag that moisture levels are out of whack. To reduce those levels, cover any exposed area with plastic and also make sure to check out your home’s drainage system to make sure it’s working properly. Mold and Mildew: Nowadays, nearly every home buyer is aware of the negative health effects of mold and mildew. And they may not want to have anything to do with a home that’s found to have these issues. Get them fixed before the inspection. Troublesome Roofs: Home buyers pay a lot of attention to the health of the roof – in part because it’s the home’s protection from the elements and in part because they’re so costly to repair or fix. Thus, take extra care in ensuring that your roof is in the best condition possible. That means checking for deteriorated shingles as well as rotting materials underneath the shingles. Plumbing Issues. Who wants to deal with the headache of a leak, especially given that it has the potential to cause some serious (and costly) damage to your home. To check to see if your home has a leak, mimic what the inspector is likely to do during the inspection, such as checking water pressure in the bathroom and running the dishwasher. Then if you find a problem, fix it! Electrical Issues. Most likely, the home inspector is going to be checking for inadequate electrical panels as well as circuit breaker configurations. So check out these key areas first. Housing Utilities. This may include the home’s heating and air conditioning systems, the foundation and the various appliances in the home. Get these checked out before the inspection to make sure they’re in proper condition and unlikely to raise any red flags with the inspector. 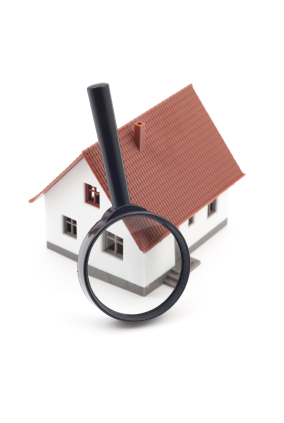 We hope you found today’s Ottawa real estate blog useful as a potential home seller. We love helping make the home selling process easier for individuals wherever possible. For more expert help on navigating the market as a home seller, please contact us, your dedicated Ottawa REALTORS®. When you do, we’ll be able to provide you with valuable home selling resources and insightful real estate advice. Determining the list price on your Ottawa home for sale may be one of the most critical decisions you can make as a home seller. After all, this price may in fact determine how much success you have on the market. Set it too high, and you risk scaring away potential home buyers. But set it too low and you’ll lose out on your hard-earned equity. Today, I’m going to tell you how to strike a balance between the two. You sell your home before it starts to languish on the Ottawa real estate market. To ensure that this is your experience on the market, you should take certain steps. For instance, don’t overestimate the value of your home based on upgrades. While these are nice, they’re not adding as much value as you think. Also, don’t try to compensate for the original purchase price of your home by setting your list price too high. In the end, you won’t recoup the losses. Instead, you’ll just make it harder for you as home seller. Finally, don’t believe the idea that you need to give yourself some negotiation room. A well-priced home will sell on its own. You don’t need to over-anticipate what the buyer is going to do by calculating in some negotiation room. Not receiving an offer on your in the first couple of weeks, which is a critical time period. This may result in your home languishing on the market. Ultimately being forced to settle on a price reduction because your home still hasn’t sold. And trust us, a “Recently Reduced” alert is not nearly as alluring as a “New Listing” alert. Helping your neighbors (ie, your competition) to sell their homes before you sell yours because your over-priced home makes their homes for sale look like a real bargain! List Your Ottawa Home With Us! Pricing your home right is definitely an art, not a science. That’s why it behooves you to work with an experienced Ottawa real estate expert like us. So contact us today to discover how we can help you get the outcome you want on the local housing market as a seller. Manor Park is home to an active community association, which strives to provide a safe and vibrant community for its residents, and to make the neighbourhood a wonderful place in which to live. Within and around Manor Park you’ll find 18 private, public and Catholic school choices, as well as parks, community activities, restaurants, shopping, walking trails and entertainment for everyone! York Street Public School, Immaculata High School and Lisgar Collegiate Institute; as well as six places of worship, various recreational opportunities including the Rockliffe Lawn Tennis Club, the St. Laurent Complex, The Rockliffe Golf Driving Range, and various swimming pools, cycling paths, and more; and with the help of Ottawa’s OC Transpo bus route 7, which travels right through Manor Park, those in the neighbourhood can take advantage of all that the area has to offer. 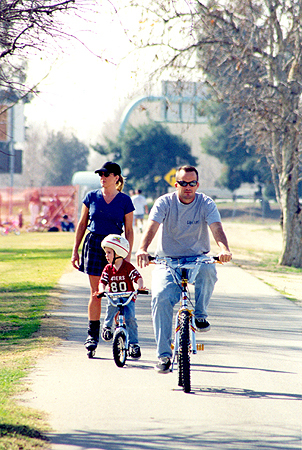 In addition to Manor Park’s fantastic schools, parks, churches and recreational sites, the neighbourhood offers families practical resources like banks, restaurants and grocery stores, as well as great outlets for fun in terms of Manor Park’s after-school program for kids, Movie Night in the Park, Christmas caroling and sleigh rides around the Christmas holidays, and so much more. Without a doubt, Manor Park is an Ottawa neighbourhood with so much to offer people of all ages. So if you’re thinking about investing in Ottawa real estate and you want to call Manor Park home, get in touch withOttawa realtors Geoff and Bobbie McGowan and let them work with you. These great Ottawa real estate agents will provide you with fantastic complimentary relocation packages, market evaluations and other great reports, and will ensure that you get top dollar for your home; so why not make the easy choice and call Geoff and Bobbie McGowan today. Are you a current home owner who is thinking about selling your Ottawa property anytime soon? If you are, then you will benefit from our topic today: Home Staging, should you do it? As an expert Ottawa REALTOR, I’m going to tell you why it is important to stage your home-and most importantly, stage the living room of your home, before listing your property. A staged home will make a property feel more warm, inviting, and emphasizes space and light in the home so home buyers can visualize living there. It is not necessary to stage the entire home, but it is especially important to stage those rooms on the first floor, since home buyers tend to form an opinion about the home withing the first several seconds of stepping inside. Here are some things you can do to create warmth and a focal point in the room, whether it’s a mirror over the mantle or candles or something else. Set plants in the room. Vegetation signals warmth and life. Set out knickknacks in odd-numbered groupings, like 3 or 7. 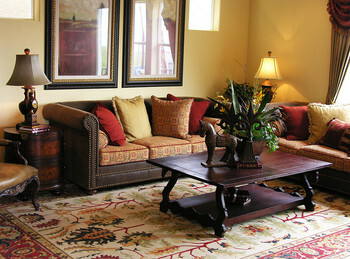 Use brightly colored accents, such as pillows or flowers. All of these tips have the effect of making your living room feel warmer, more welcoming, larger and more open-which is exactly what today’s Ottawa home buyers are searching for in their new home! 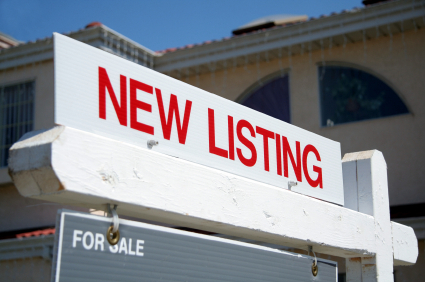 Are you ready to list your Ottawa home for sale with expert Ottawa REALTORS? Contact us today to learn about our diversified marketing plan and how we will target the right home buyers to get strong offers quickly for your Ottawa home. Many Ottawa Real Estate Sellers believe that most of the work is done once they receive a signed purchase offer from the buyer; however, it is important to note that there are still some vital steps to follow between the time that the buyer makes a purchase offer and the time you walk out of the final closing. From inspections to appraisals, there are a lot of steps to take in between, for example, when preparing for the final closing, it is extremely helpful if you follow these steps. Welcome to the Remax Ottawa Real Estate Blog, your source for everything and anything about Ottawa neighborhoods, Ottawa real estate, and things to do in our wonderful city. The month of October is a fantastic time to get out and about in Ottawa, explore our wonderful communities, and learn about upcoming events.